Dragon Age: Origins is a heroic dark fantasy roleplaying game developed by BioWare. Thanks to BioWare and EA, we had twelve digital copies for the PC to give away with all of the downloadable content included! Though the journey was perilous and full of danger, a mass of would-be community heroes still answered the call. 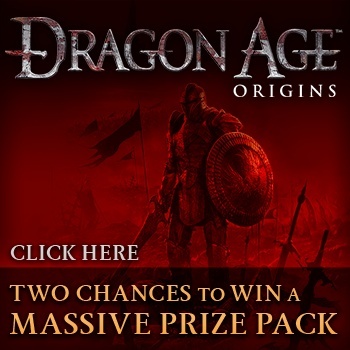 As the quest came to an end, each hero was granted a chance to win a game key for Dragon Age: Origins. Please keep checking back at The Escapist for more contests and giveaways.